Happy Wednesday! 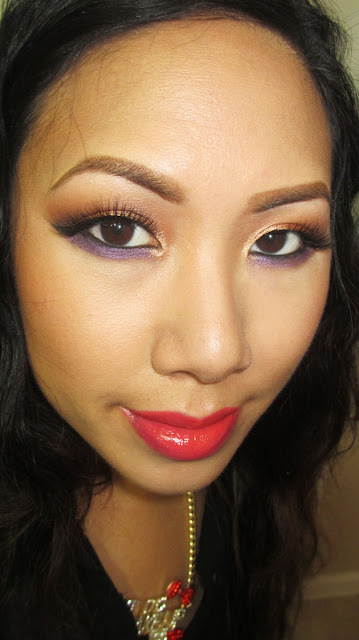 Today I'm sharing with you a super bright, colorful and fun summer look. I wore it to my Makeup Meetup this weekend. The theme was bright summer lippies. I also had some fun with bright eyeshadows. Check it out! On the eyes, I used my new favorite palette - The Ofra Cosmetics Diamonds are Forever Palette. The shadows are absolutely amazing. Everytime I put a new color on my eye I am literally wowed again by the intense pigment and fine shimmer. 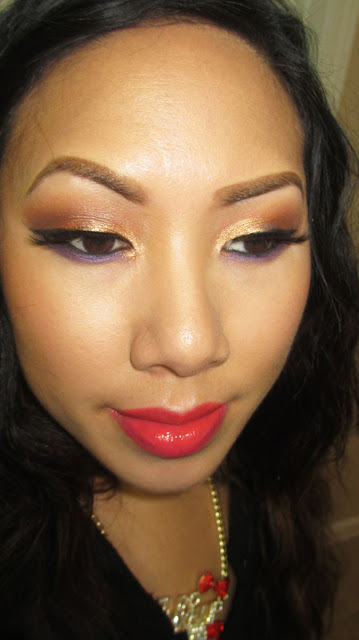 I also used my new Stila Palette called "In the Know" to give some mattes to the look and a bit for an orange vibe. I'm loving the purple and orange combo. 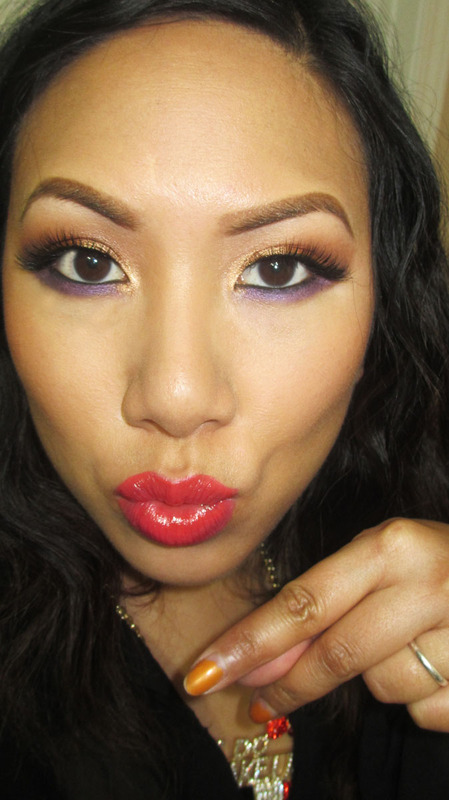 The purple from the Ofra Cosmetics is one of my new favorites. You'll see it highlighted in a tutorial soon. I'm also rocking my new Velour Lashes in Lash in the City. I'm not sure how I feel about them yet. And lastly, on my lips I have MAC Impassioned lipstick with OCC Lip Tar Stained Gloss in Jealousy on top. 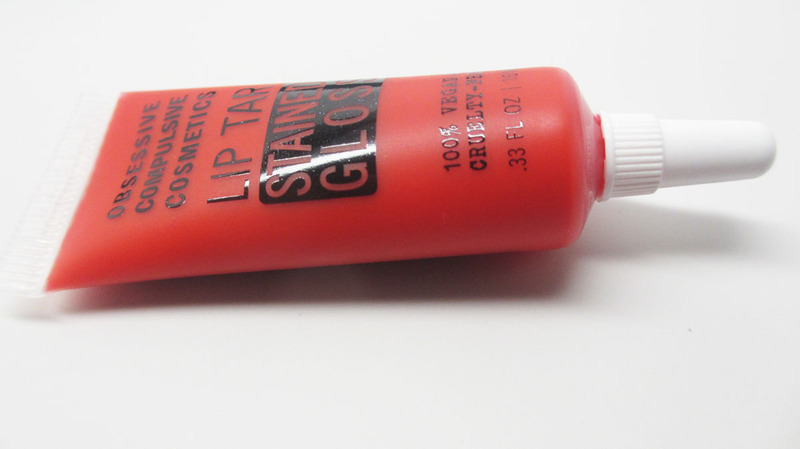 I love layering these new glosses over lippies for an intense pop of color. 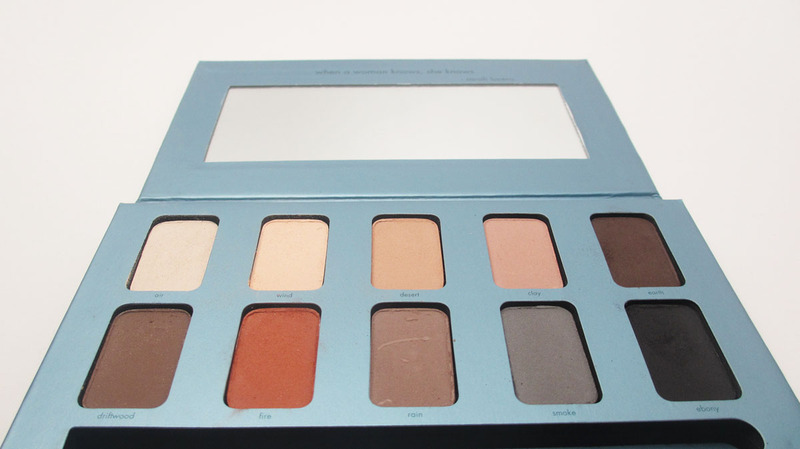 Quick question - have you guys ever depotted the Stila palettes? 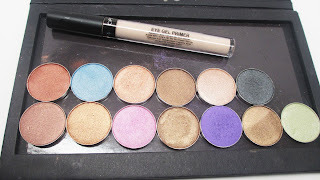 I love the colors and want to put them in a Z Palette but i'm a little nervous because they're so soft. If you have, let me know the in comments below! Also, I'll have a full recap post on my meet-up with the summer tips we covered coming soon!